*counties selected reflect stops on the “Protect OUR Constitution Tour.” Learn more at demnc.co/tour. Learn the high cost of voter ID in Cumberland. Learn the high cost of voter ID in Durham. Learn the high cost of voter ID in Forsyth. Learn the high cost of voter ID in Guilford. Learn the high cost of voter ID in Johnston. 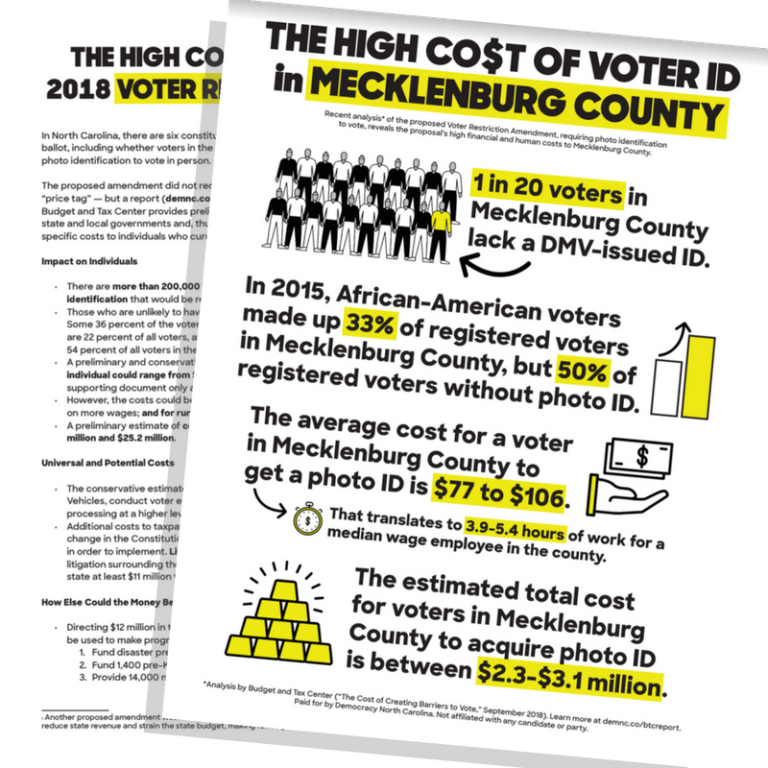 Learn the high cost of voter ID in Mecklenburg. Learn the high cost of voter ID in Robeson. Learn the high cost of voter ID in Rowan. Learn the high cost of voter ID in Transylvania. Learn the high cost of voter ID in Wake. Learn the high cost of voter ID in Watauga.